Fox News chairman and CEO and alleged serial sexual harasser Roger Ailes has been fired from the cable news network, multiple sources reported on Tuesday. 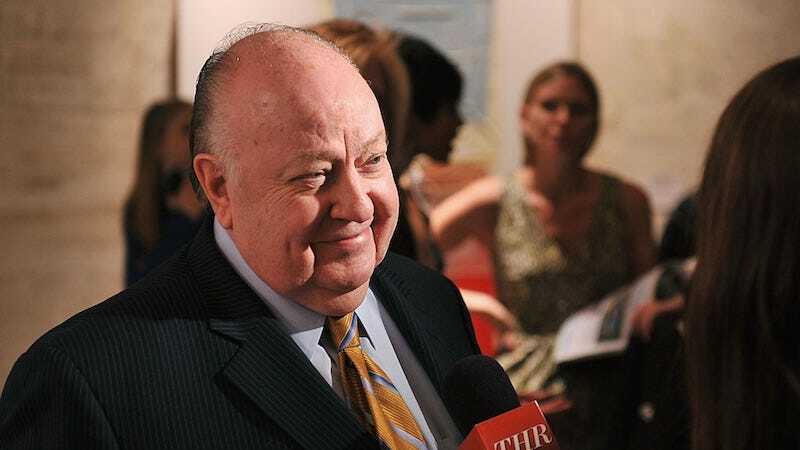 His ouster is the result of a lawsuit in which former anchor Gretchen Carlson claimed Ailes sexually harassed her and fired her in retaliation after she declined his advances. Numerous individuals reportedly contacted Carlson’s lawyers after her lawsuit became public. Earlier today, New York reported that Megyn Kelly had told investigators from 21st Century Fox that Ailes had sexually harassed her ten years ago when she was a correspondent at the network. According to a document obtained by the Drudge Report, Ailes’ official employment separation date will be July 22. After that, he will continue “provide advice and services as requested by KRM, Executive Chairman of 21CF, and continue to act in the Company’s best interests,” until the end of “Term,” which is set to end on June 30, 2017. During that time period, he will continue to be paid his $6.25 million salary in addition to bonuses for 2016 and 2017. All in all, Ailes will be paid over $40 million after being fired. Some at Fox are refuting that information, however. In the same piece, Shepard Smith said, “It’s all about him. Everything you see and feel about, it is from him.” Bill O’Reilly said, “I have no idea how the network would shake out if he wasn’t here.” That being said, Rupert Murdoch and his heirs have reportedly been discussing an opportunity to get rid of Ailes for some time. Update (5:55 p.m.): Gabriel Sherman, national affairs editor at New York magazine, is tweeting reports that Ailes’ office is in chaos. Update (9:10 p.m.): In an interview with the Hollywood Reporter, Estrich insisted that Ailes and Fox News were still negotiating an agreement. She also said she wasn’t sure where the exit agreement Drudge posted had come from.